Oceans inc: DR. Sylvia Earle Attends #COP21 In Paris To Inject Ocean Issues Into Climate Talks. DR. Sylvia Earle Attends #COP21 In Paris To Inject Ocean Issues Into Climate Talks. Dr. Sylvia Earle, the world's leading oceanographer, Mission Blue founder/chairman and National Geographic Explorer in Residence, has confirmed her attendance at the COP21 climate talks in Paris. The objective of Dr. Earle's visit is to inject ocean conservation issues into the climate debate; the ocean isn't officially on the agenda of COP21 this year, even though it is the planet's primary driver of climate, weather and chemistry. Dr. Earle will join world-renowned primatologist and environmentalist, Dr. Jane Goodall, on December 7th from 10:30AM to 11:00AM for a "Tapestry of Hope" conversation event with the UN Foundation at Le Petit Palais (Avenue Winston Churchill, 75008 Paris, France). The two legendary female scientists will discuss efforts to abate climate change both on land, as part of Dr. Goodall's "Roots and Shoots" campaign, and at sea, as part of Dr. Earle's "Hope Spots" initiative. Register here. Dr. Earle is also in France as an Ambassador of #OceanForClimate, a movement that is likewise seeking to inject ocean issues into the climate agenda. "In the age of global warming, the ocean is experiencing unprecedented stresses: temperatures are rising, sea levels are inching up, the water is acidifying and corals are bleaching. Marine wildlife is experiencing more pressure beyond industrial fishing, pollution and other environmental stressors. Yet, there is hope: the ocean is the largest active carbon sink on the planet. Protecting the ocean so it can maintain itself as a functioning system means fortifying the planet against rising levels of greenhouse gases. The ocean deserves to be discussed hand in hand with climate. It is a crucial part of the solution. Don't you agree?" said Dr. Sylvia Earle. 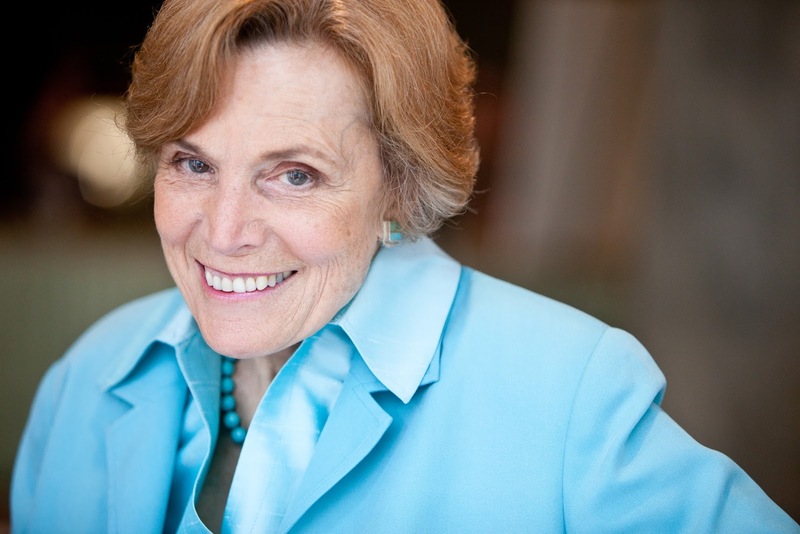 In her role as rapporteur for the People's Summit at the UN Conference on Sustainable Development in 2012 (Rio+20), Dr. Sylvia Earle catalyzed the ocean conservation community and championed states to support a bold new step for the high seas. Her recognition as a UNEP Champion of the Earth in 2014 has added to her reputation on the world stage as a powerful advocate for including the ocean in immediate climate action planning and commitments in the Paris meetings. Mission Blue is a global initiative of the Sylvia Earle Alliance (S.E.A.) to ignite public support for the protection of Hope Spots—special places that are vital to the health of the ocean, the blue heart of our planet. Founded by National Geographic Explorer-in-Residence Dr. Sylvia Earle in response to her 2009 TED Prize wish, Mission Blue is uniting a global coalition of partners to inspire an upwelling of public awareness, access and support for a worldwide network of marine protected areas. From the seamounts of the high seas to the shallow sunlit reefs, Mission Blue seeks to bring about a significant increase in ocean protection from less than four percent today to 20% by the year 2020. Dr. Sylvia A. Earle is Explorer in Residence at the National Geographic Society, Founder of the Sylvia Earle Alliance (S.E.A.) / Mission Blue, Founder of Deep Ocean Exploration and Research Inc. (DOER), Chair of the Advisory Council for the Harte Research Institute and former Chief Scientist of NOAA. Author of more than 200 publications and leader of more than 100 expeditions with over 7,000 hours underwater, Dr. Earle is a graduate of Florida State University with M.A. and PhD. degrees from Duke University and 27 honorary doctorates. Her research concerns the ecology and conservation of marine ecosystems and development of technology for access to the deep sea. She is the subject of the Emmy®Award Winning Netflix documentary, Mission Blue, and the recipient of more than 100 national and international honors and awards including being named Time Magazine’s first Hero for the Planet, a Living Legend by the Library of Congress, 2014 UNEP Champion of the Earth, Glamour Magazine’s 2014 Woman of the Year, member of the Netherlands Order of the Golden Ark, and winner of the 2009 TED Prize, the Walter Cronkite Award, the 1996 Explorers Club Medal, the Royal Geographic Society 2011 Patron’s Medal, and the National Geographic 2013 Hubbard Medal.